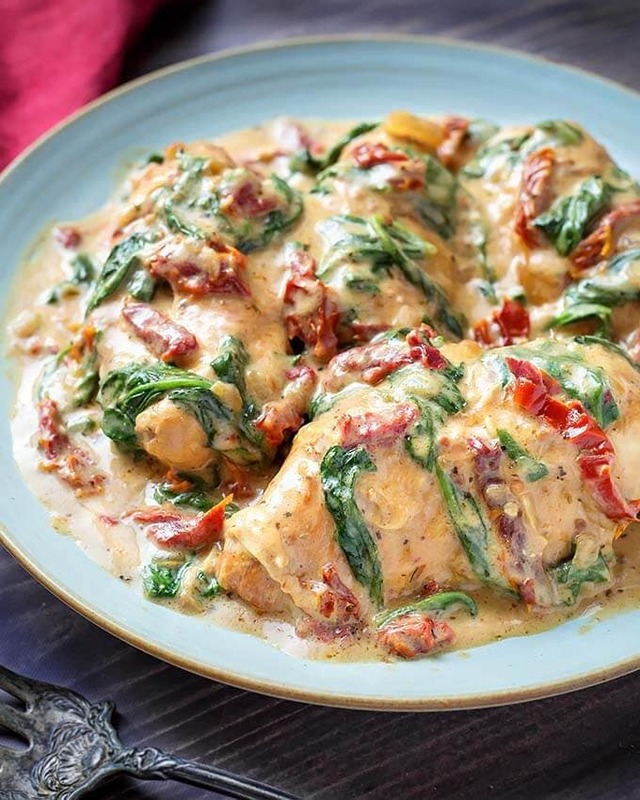 Slow Cooker Creamy Tuscan Chicken recipe has great flavor from creamy garlic sauce with sun dried tomatoes, and tender chicken breasts. 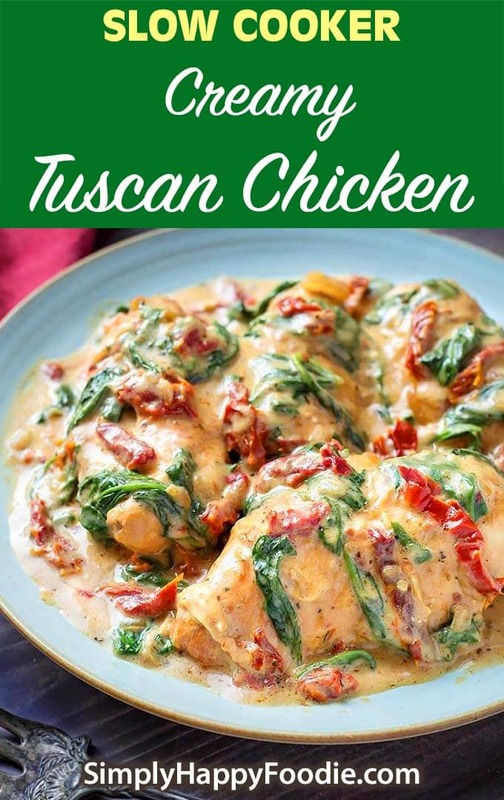 Making this crock pot creamy Tuscan chicken recipe is easy, and my whole family loves it! The concept of semi-homemade is one that I have adopted slowly. I like to use whole foods and less processed ingredients when possible. However, once in a while using a canned soup, a jarred sauce, or a flavor packet will help me get a meal on the table easier, faster, and still create the flavor that I want. 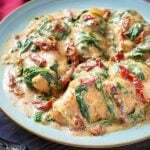 This Slow Cooker Creamy Tuscan Chicken uses a jarred Alfredo sauce, and that is the only semi-homemade part of the recipe. 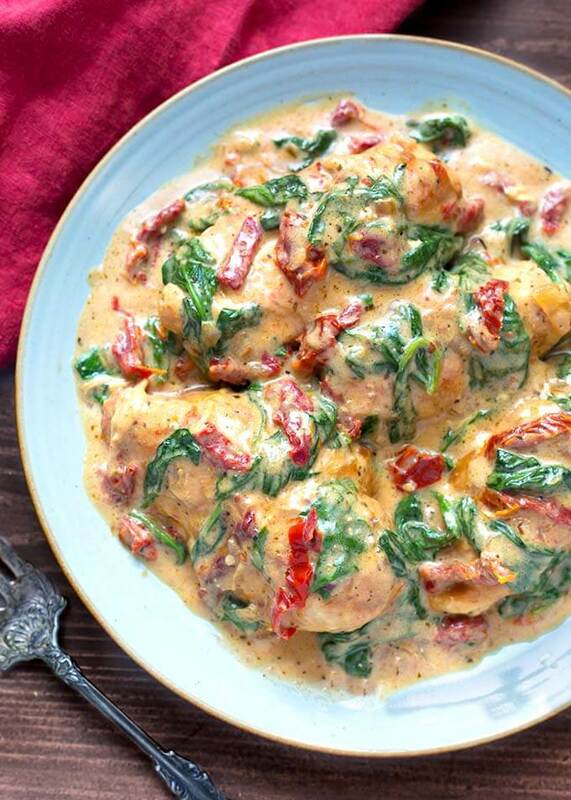 You can use heavy cream and garlic, salt & pepper if you wish, and it will still be delicious! 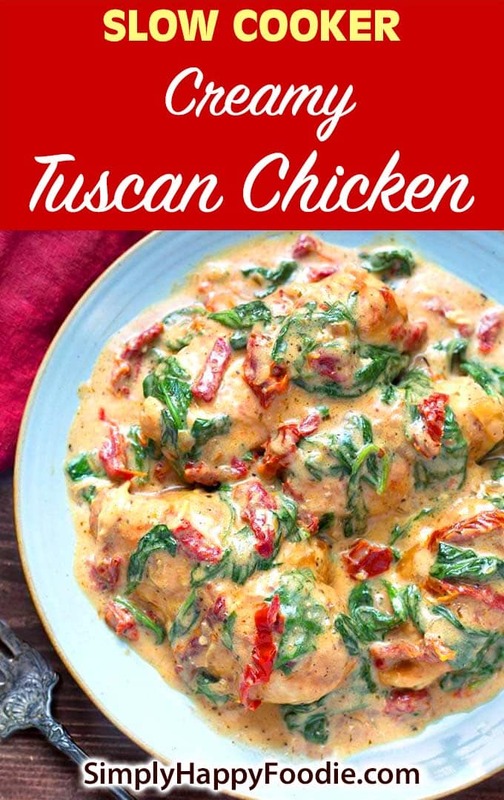 I like to serve Slow Cooker Creamy Tuscan Chicken over linguini or fettuccine noodles, but you can serve it over any pasta you have on hand. You could also serve it or over mashed potatoes, or even gnocchi (very Italian) or rice, which is wonderful in the sauce. I really like the pretty colors in this recipe. It makes for a nice presentation, which is a bonus when serving this dish to your guests. For a side vegetable, broccoli goes well with this dish. I also like to serve asparagus, Brussels sprouts, or a bright side salad. Thank you for visiting my blog today! I hope you are finding recipes that will work for you. If you aver have a question or compliment, please leave a comment below and I will be sure to see it! Drain the sun dried tomatoes and set aside. Heat a skillet on med-high heat and add the butter. Add the chicken breasts and brown both sides. 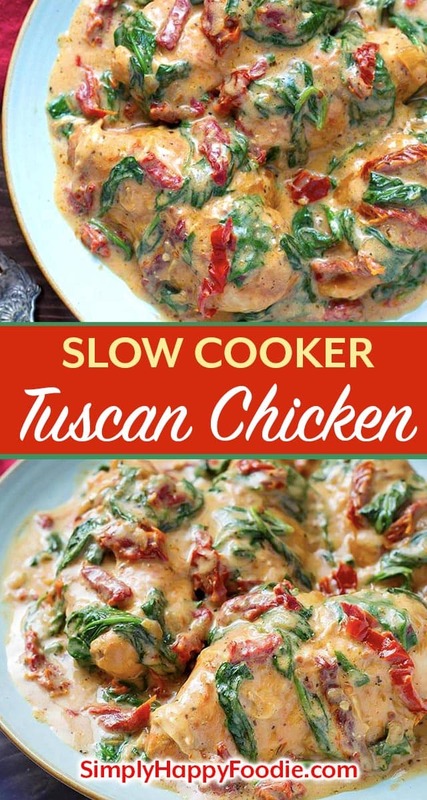 Remove chicken and place in the slow cooker. Add the onions to the skillet and cook until just turning translucent. Add the sun dried tomatoes to the onions and cook for 2 minutes, stirring occasionally. 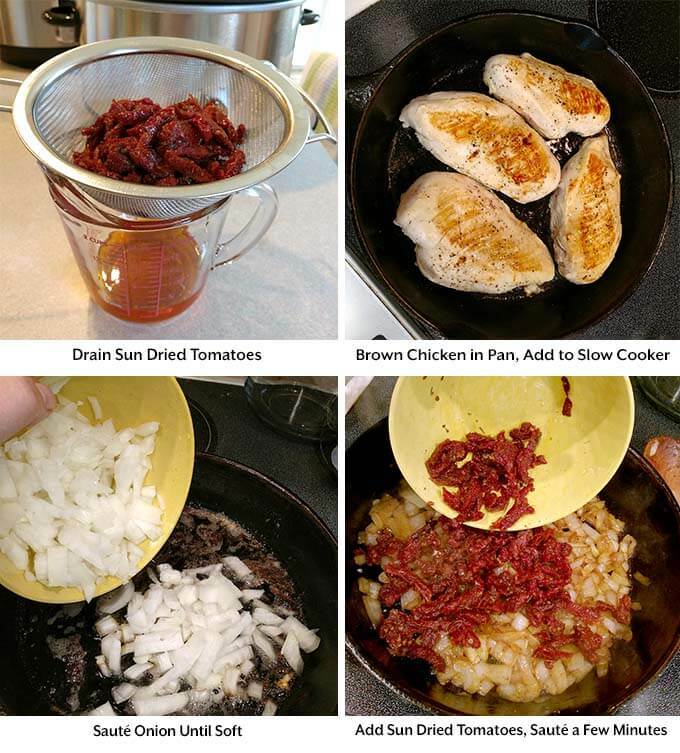 Turn off heat and add onion/sun dried tomato mixture to the slow cooker. Sprinkle in the Italian seasoning and red pepper flakes. Pour the Alfredo sauce over the top and close the lid. Cook on Low for 3-4 hours or High for 2-3 hours. When cook time is finished, open lid and stir in parmesan, then stir in the spinach and close the lid. Let cook for a few more minutes, until spinach is wilted/softened. 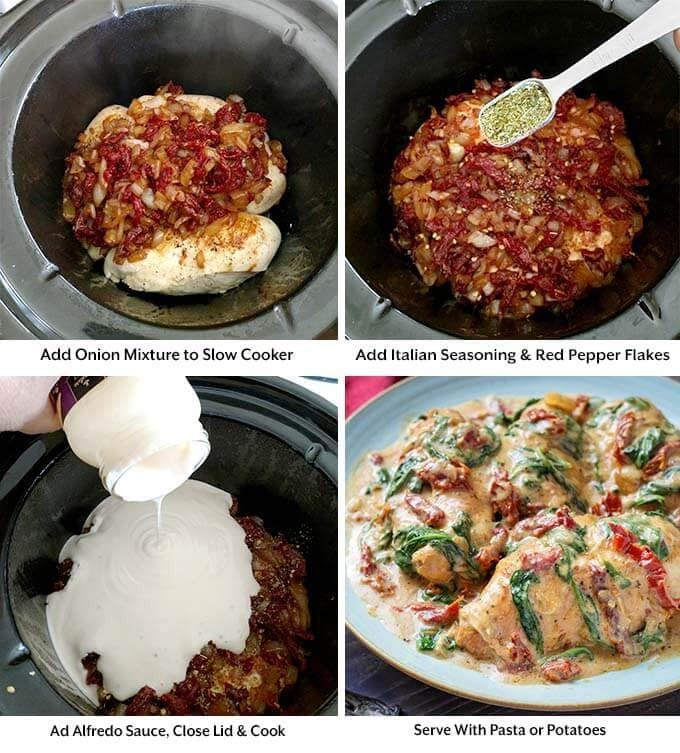 *If you don't have, or don't want to use jarred Alfredo sauce, you can use 1 1/2 cups of heavy cream and 3 cloves of garlic (pressed or very finely minced). You can thicken the sauce a little with extra parmesan cheese. 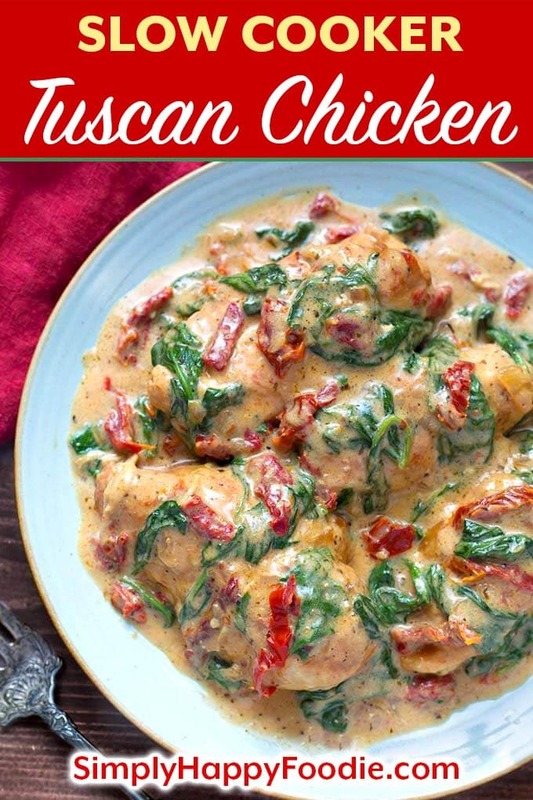 I loved this dish..so easy to prepare..thanks for sharing! Hi Judith, I’m so happy you liked it! Thank you for your review! How would the cooking times change if the recipe is doubled? I think if you allow for an extra 15 minutes on High and 30 minutes on Low, you should be fine (the size of the pieces makes the biggest difference, and how much they overlap each other). Try not to stack the chicken too much, if you can. If you do have to stack it, I would flip it halfway through. But don’t lift the lid again after that as it slows down the cook time. Great! Thanks for your review! What can I use as an Alfredo sauce substitute? If the picky eaters I’m feeding don’t like that sauce. Heavy cream and garlic, and parmesan at the end. Would cooking the chicken before hand and then putting it in the crockpot make it dry or no? If you put cooked chicken in the crock pot, then cook it fir the amount of time the recipe calls for, it will be very dry.